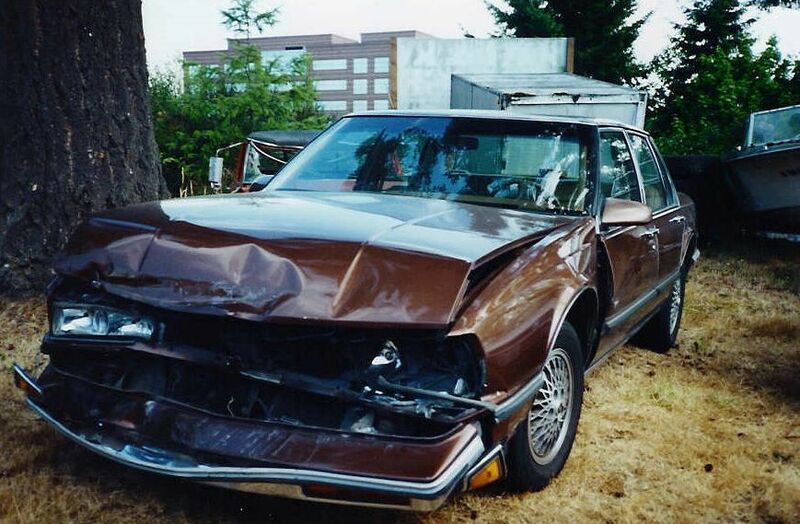 In August 2000, 56-year-old Diane was making a left turn off of Highway 99 in Lynnwood, Washington, when another motorist ran a stop sign and hit her head-on at 35 mph. Diane's airbags deployed, and she was thrown forward and back again upon impact as the air bag struck her face and chest with significant force. The other driver backed up and took off, fleeing the scene. Other motorists who saw the crash called 911. One of the motorists followed Mr. Dejoria as he sped away. Witnesses reported Mr. Dejoria drove erratically. The Washington State Patrol had a trooper nearby. The WSP eventually spotted Mr. Dejoria and pulled him over. The trooper smelled a strong odor of intoxicants from inside Mr. Dejorias's vehicle. He was asked to perform field sobriety tests, which he ultimately failed. Mr. Dejoria was arrested and booked into jail for DUI and Hit and Run. He eventually pled guilty to DUI. It was Mr. Dejoria's 2nd conviction for an alcohol-related traffic offense. Diane was taken to Providence Hospital in Everett. She reported neck and back pain, and severe chest pain and bruising. Over the next few days, the pain got worse. She also experienced severe shoulder pain, presumably due to the seat belt harness upon impact. Over the next year, Diane received medication, physical therapy and massage treatment for her ongoing neck, shoulder and back pain complaints. The bruising to her chest did not resolve for several months. She found it difficult to perform daily activities, like standing, sitting, walking, and lifting. Diane also had great difficulty sleeping. Although Diane's symptoms did not resolve, she decided to stop therapy and try to manage her complaints with a home exercise program. She did not receive any medical treatment over the next 20 months. Diane was referred to a vascular surgeon for a surgical consultation. The surgeon performed ultrasound testing and confirmed that Diane did have TOS. The doctor felt that the TOS was related to the injuries she received in the car crash 5 years earlier. Diane was advised to continue with conservative management, consisting of physical therapy, exercises and injections to manage her symptoms.If conservative treatment failed, then the vascular surgeon told Diane that the only option left was surgery. The driver's insurance company, MetLife Home Auto, made a final settlement offer of $30,000. MetLife argued that Diane had only suffered from 'soft tissue' injuries that should have healed. It also argued that Diane's pain complaints were due to a pre-existing injury or condition because Diane was in a car accident in 1969 and in 1987. Diane stated that she made a full recovery from each of these prior accidents. A lawsuit was filed against the drunk driver and MetLIfe Home Auto. The driver testified that he had no memory of the collision. After 12 months of litigation, the case settled a few days before a scheduled jury trial for the other driver's insurance policy limits. Diane then filed a claim for Underinsured Motorist (UIM) benefits with her own auto carrier Liberty Mutual Insurance Company. Liberty Mutual denied the claim, causing Diane's attorney to request arbitration pursuant to the terms of the policy. Liberty then hired its own counsel to defend the claim. After more than 12 months of litigation against Liberty Mutual, a mediation session was held. The parties eventually agreed upon terms of settlement. In the end, Diane was able to secure a gross settlement of $185,000. This amount included her claimed past medical expense of approximately $40,000. We recovered a $185,000 settlement for a woman who was seriously injured after a drunk driver crashed head-on into her vehicle in August of 2000. The driver fled the scene of the crash and was chased down by witnesses.